As kids, we always seemed to assume that the whole 'making toys for all the children all year to deliver them on one night' was actually pretty easy. After all, it was just one day of delivering toys and 364 of making them. How hard could that be? Like... that's so much time! But, one day, we would grow up. One day, we'd get jobs. We would realize just how much time that everything takes. How tired we get... and we're not even close to 1,748 years old, yet! That's a lot of things to do for anyone, so it makes total sense that Santa does his best to get some assistance throughout the year. But, also, how are those little elves going to get all that work done, either? They're only the size of children and those of us without the luxury of being at least six feet tall know exactly how much time we lose trying to reach stuff on the top shelf. Obviously, Santa has some taller help. And, he's gonna be in need of some more! Whether you're in the midst of the Christmas holiday or you're just prepping for the season to come, our designers know just what it takes to bring out the inner elf. 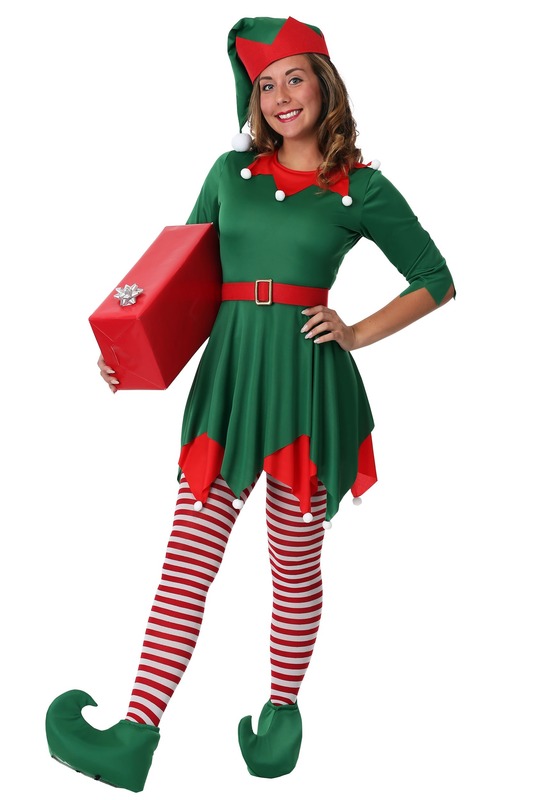 They've worked all year themselves to create looks like this high-quality Santa's Helper Costume. This green and red dress has multiple layers to bring out the festive fun. The belt is a bright red with a bold felt buckle and the boot covers will give you the elfish look without having to actually trip over your own toes. Don't forget your green pom-pom hat in its Santa style. 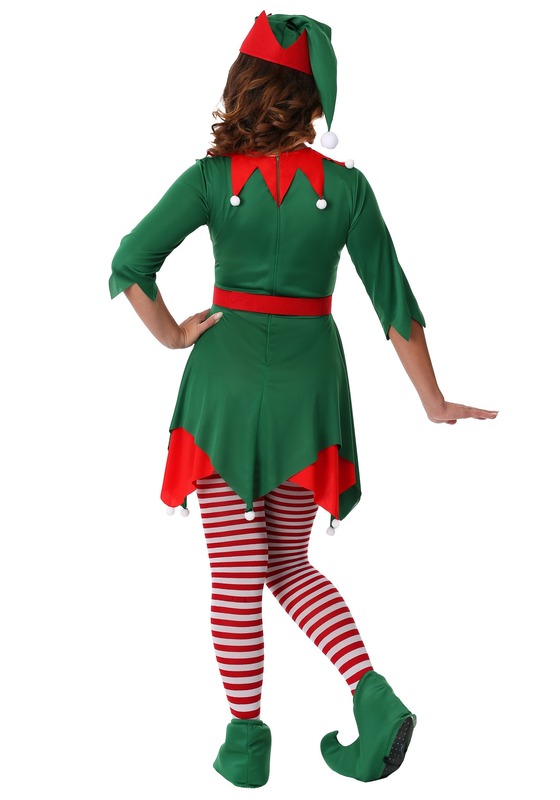 Feel the magic of the season at any time when you slip into this Santa Helper Costume. No mall visits required and that is the real magic at work!